The Ranger 2.0 boasts a glossy hunter green frame equally fit for the city as it is for urban trails. The quality components work seamlessly together and will provide you with a very comfortable, sturdy, and quiet ride. The Ranger brings a modern retro look while maintaining a minimalistic profile. 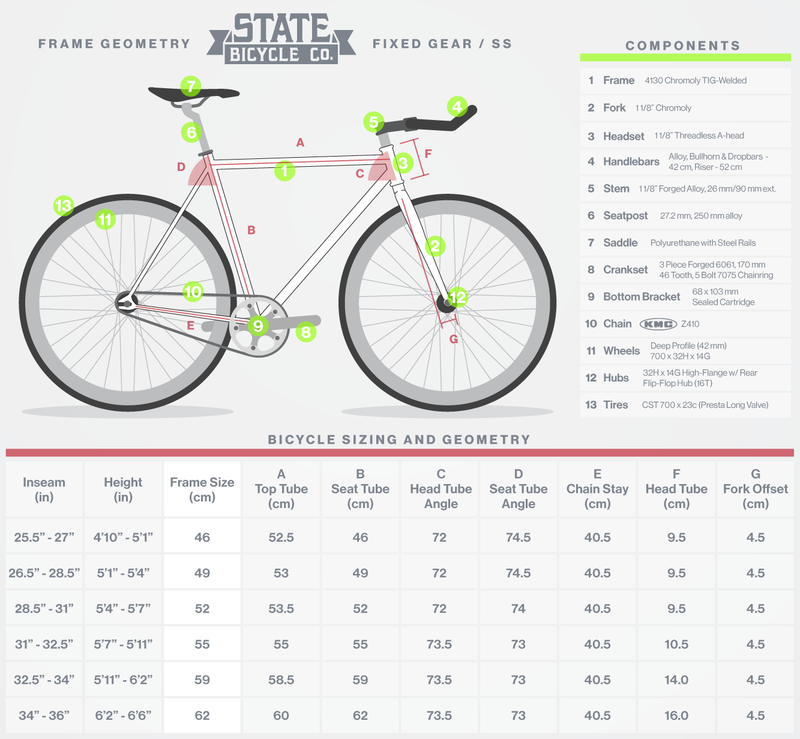 If you're looking for an affordable, modern ride for everyday commuting, the occasional ride, or if you're just looking to work out, the second take of a best seller for State Bicycle Co. delivers.